Small-town girl Jerrica (Aubrey Peeples) lives an unexceptional life...until she takes on a secret identity inspired by her music. 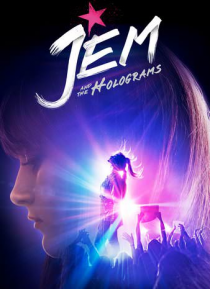 She becomes Jem: the bold, stunning and absolutely fearless global superstar! But when it seems that she may lose touch with the things that really matter, Jerrica and her band of sisters begin a one-in-a-million journey, discovering that some talents are too special t… o keep hidden.